Ayodhya case: The Supreme Court on Thursday deferred the Ayodhya title dispute case to January 29, saying the five-judge bench that was to hear the case will be reconstituted as Justice U U Lalit recused himself. The apex court took the decision after senior counsel Rajeev Dhawan, appearing for one of the Muslim parties, told the bench headed by Chief Justice Ranjan Gogoi that Justice Lalit in 1997 appeared for former Uttar Pradesh Chief Minister Kalyan Singh in one of the matters related to the Babri Masjid-Ram Janmabhoomi dispute. Singh is currently the Rajasthan Governor. Soon after, Justice Lalit conveyed to Chief Justice Gogoi and other members of the bench — Justice S A Bobde, Justice N V Ramana, Justice D Y Chandrchud — of his reluctance to continue on the bench and recused himself. The court, thereafter, directed its registry to go through all the records relating to the Ayodhya case which are available with it and submit a report by January 29 as to how much time it would require for translating the documents and the case material which are in Persian, Arabic, Urdu and Gurmukhi languages. However, when senior counsel Harish Salve, appearing for one of the Hindu litigants, offered to assist the registry in the handling of the papers and their translations, Chief Justice Gogoi said that he will rely entirely on his own registry to do the job. Having directed the secretary general of the Supreme Court to submit the report in 15 days the court directed that the reconstituted bench will hold the hearing on January 29. 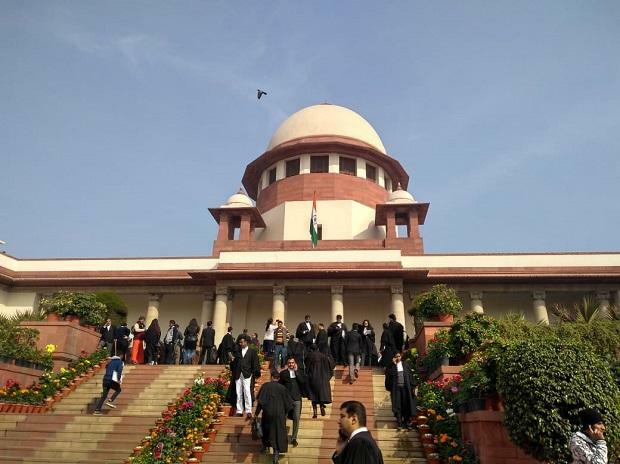 The Supreme Court had said that the bench will hear several petitions challenging the 2010 Allahabad High Court judgement on the Ayodhya title dispute. The Allahabad High Court had in 2010 trifurcated the disputed site, giving one portion each to Ram Lalla, Nirmohi Akhara and the original Muslim litigant.